Have you been told that you have hypothyroidism, only to be placed on a medication that hasn’t helped? Has your doctor said that your labs are “normal” and there’s nothing more you can do? Do you continue to have problems with your energy, weight, digestion, and mood? Do you feel like you will be a slave to your hypothyroidism for the rest of your life? Hypothyroidism is reversible. Our patients prove this. Your body has the ability to heal. If you’ve been diagnosed with hypothyroidism, then it’s time to dig into why this is happening. There are over 20 possible causes for your hypothyroidism, and if your doctor is not helping you to find and address it, then you’re not getting the care you deserve. If you could reverse your hypothyroid symptoms, would you? The earlier we address the root cause of your condition, the sooner you can begin to reverse it. Our Hypothyroidism Reversal Program looks for the cause of your condition and tailors a program specific to you. You don’t have to suffer from unrelenting symptoms. It’s time to get back to feeling like yourself. Sign up for our free educational event, where you can ask questions, meet our team, and take steps to improve your life. It’s time to get back to feeling like yourself. Our thyroid testing goes far deeper than that of a conventional doctor or endocrinologist. Conventional doctors only test your Thyroid Stimulating Hormone (TSH) and your Free T4 (FT4) levels, BARELY scratching the surface of your thyroid function and resulting symptoms. Our Thyroid Condition Reversal program includes 5x as much testing … At a minimum, we evaluate TSH, FT4, total T4, total T3, free T3, reverse T3, anti-TPO antibody, anti-thyroglobulin antibody, thyroid binding globulin, and thyroid stimulating immunoglobulin. Beyond blood tests, Thyroid function may be hindered by: gut disturbances, infections, toxicity, and stress. Each is evaluated to create a unique protocol, optimized for you. Autoimmune Thyroiditis (aka Hashimoto’s disease) is the most common thyroid condition. Autoimmune Thyroiditis is caused by inflammation in the thyroid gland (thyroiditis) as a result of the immune system attacking the thyroid. 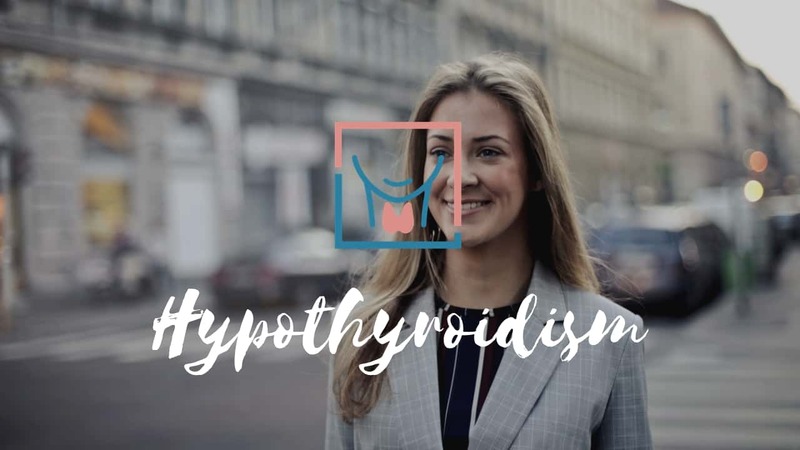 Currently, conventional endocrinologists (hormone doctors) abstain from intervention until the thyroid is damaged to the point where thyroid hormone production declines, a state called hypothyroidism. They then treat solely with supplemental thyroid hormone, a life-saving treatment for patients that need it. Thankfully, it is clear that there are many ways that we can prevent (or at least slow down) thyroid gland destruction before it’s too late. When our Practice Manager, Luke Schmidt, saw Dr. Rafatjah as a patient in 2016, she diagnosed him with Autoimmune Thyroiditis (Hashimoto’s), a diagnosis missed by every doctor he had seen previously. If left untreated, he likely would have developed hypothyroidism. Not only did Dr. Rafatjah uncover his thyroid disease, but she was able to help him cure it through simple lifestyle changes. Hypothyroidism is a condition in which the thyroid gland does not produce enough thyroid hormone to sustain normal physiological function. The most common cause of hypothyroidism is Autoimmune Thyroiditis (Hashimoto’s disease). The usual conventional medical management of hypothyroidism includes a prescription for Synthroid (levothyroxine, or T4). While some people do very well on this medication, it is evident that others do better with a medication containing both T4 (levothyroxine) and T3 (liothyronine). There are various ways to give T4 and T3 together. At PrimeHealth, we are dedicated to finding the exact combination of T4/T3 that your body needs to thrive. As our patient, each treatment option will be evaluated and chosen as it pertains to your particular case. 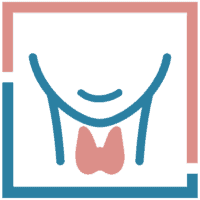 The other autoimmune thyroid condition that we work with is Grave’s Disease or hyperthyroidism. In this case, there is autoimmune inflammation of the thyroid gland, causing the thyroid to produce excessive amounts of thyroid hormone. Gradually, this over-production and inflammation lead to destruction and subsequent hypothyroidism, or underproduction of thyroid hormone. The standard of care in the conventional model involves giving thyroid hormone-blocking medications, and either permanently destroying the thyroid gland using radioactive iodine, or surgically removing the thyroid gland. Thankfully, rather than using irreversible and drastic measures, we work with you to support your thyroid gland towards healthy function. Soyona Rafatjah, MD is a board-certified Family Physician who practices Integrative and Functional concierge medicine at PrimeHealth in Denver, CO. Your Genes – Informative, NOT Deterministic. Want to Optimize your Sleep? Sign up to receive "The Art of Sleeping Well", our free guide to optimal sleep, along with the latest health updates.